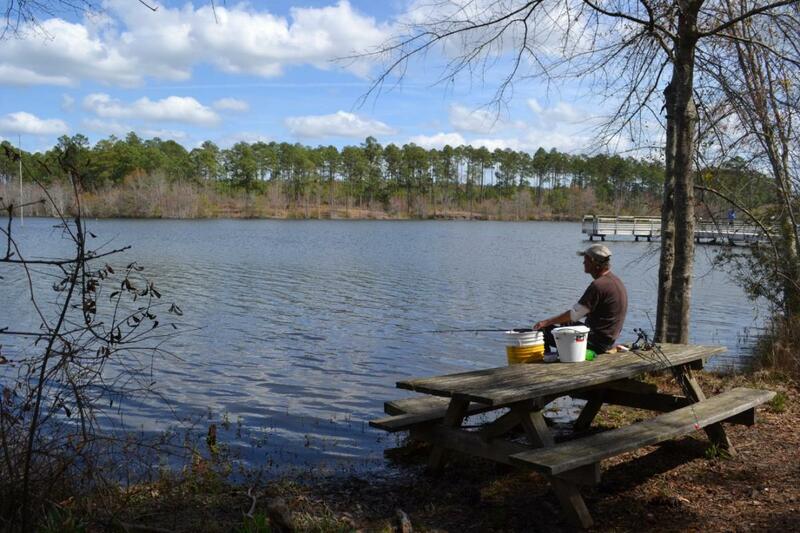 Dodge County Public Fishing Area is located in Eastman, featuring a 104-acre lake. Known for its sizable largemouth bass, it also offers anglers bluegill, redear sunfish, and channel catfish. Dodge County PFA has great piers for anglers to use! 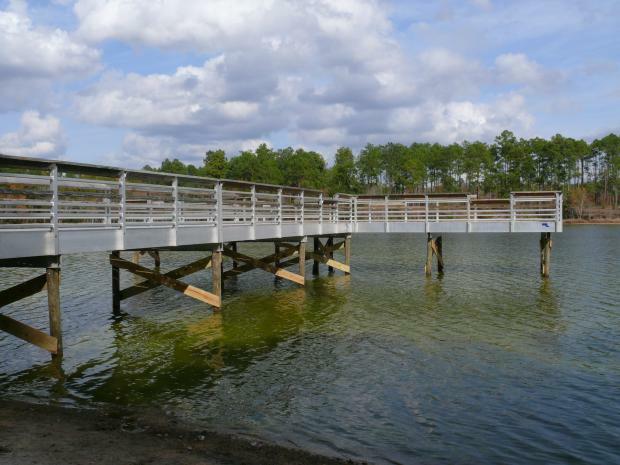 Funded by timber harvest revenue, this pier provides prime feeding areas for catfish, crappie, bream, and bass within casting distance. This area also offers opportunities for archery deer hunting and youth turkey hunts. Please check the Hunting Regulations for more information.